Jon Daniels has had a lot of success as the general manager of the Texas Rangers, but he calls the 2015 season that ended with an AL West championship maybe the most fun he's had as Texas's GM. It's not because of that title, it's because of where the Rangers had to come from after a disastrous start to the season. "I had one day in April where we had a rough loss and the bullpen struggled," Daniels remembered. 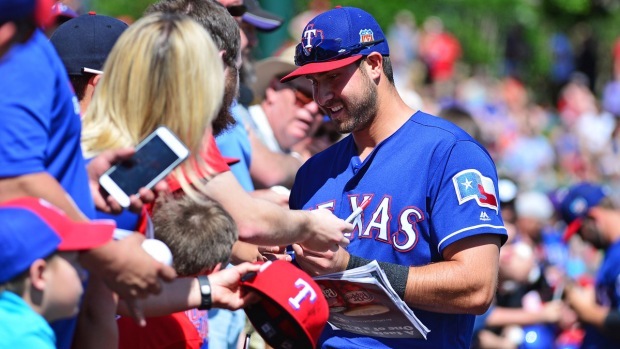 "I walked into (manager Jeff Banister's) office and had a bit of a long face on. There was that danger after what happened in 2014 where it would have been easy to slip into a woe-is-me mentality. But Banny looked at me and said, 'Don't bring that look into my office. Snap out of it. I need you.' And he was right." It was conversations like that one that showed Daniels made the right move to be Texas's new manager before the 2015 season. "I'm proud of that," Daniels said. "There were a number of times we all looked around and said 'Yeah, we hired the right guy.'"